BOZEMAN – A Montana State University doctoral graduate's research on the best way to identify places important for wildlife movement was recently recognized by an international organization dedicated to the study of landscape ecology. Meredith McClure, who earned her doctorate in MSU's Department of Ecology in 2012, won the Outstanding Paper Award in Landscape Ecology from the U.S. Regional Association of the International Association for Landscape Ecology. She received the award at the organization's annual meeting in April. McClure is lead author of the winning paper based on her dissertation comparing the efficacy of two methods for mapping wildlife corridors using migratory elk patterns and wolverine dispersal patterns as case studies. "The central goal of this paper was to examine how well two predictive models — circuit theory and least-cost path — are identifying the corridors used by animals," said McClure, who is now a lead scientist at Conservation Science Partners, Inc., a nonprofit organization based in Truckee, California. "We learned which type of movement each model is better at predicting, and that can help us choose the right tool for the job and map wildlife corridors more accurately." McClure explained that both circuit theory and least-cost path models borrow concepts from other fields. Least-cost path models, she said, are what a person's phone uses to map directions to a destination. "They find the path of least resistance from a starting point to an ending point," McClure said. "For drivers, this means considering distance, speed and traffic to minimize total travel time. For wildlife, this means considering distance and habitat quality to minimize energy expenditure or risk." She said that circuit theory models treat the landscape like an electrical circuit. "Places with good habitat have high conductance; places with poor habitat have high resistance," McClure said. "Here, we're predicting where animals are most likely to travel from point A to point B rather than electrons." 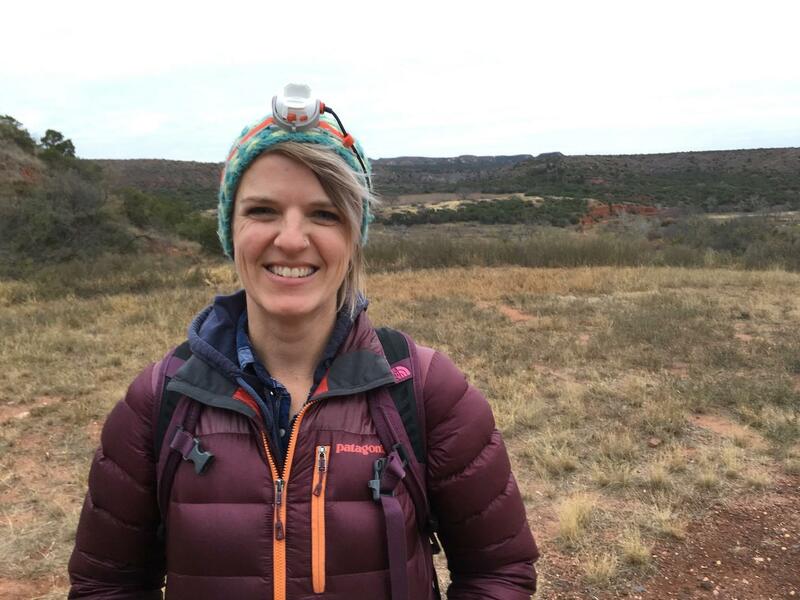 For her research, McClure, who also earned a graduate certificate in statistics, used data gathered from GPS collars placed on elk and wolverines in previous studies to gauge the effectiveness of circuit theory and least-cost path models. She found that the circuit-theory models were more effective at predicting wolverine dispersal as wolverines mature and seek their own habitat away from their mother. One particularly adventurous young male wolverine made headlines for traversing from northern Wyoming to Colorado, eventually heading to North Dakota by way of Montana. By contrast, McClure found that least-cost path models proved to be slightly more accurate at anticipating the annual migratory paths of elk. Better understanding the movement patterns of animals — whether seasonal migrations of herds or a one-time journey of a single animal to a new habitat — will lead to wildlife corridor maps that better inform conservation efforts, McClure said. And, she added, animal-movement maps that are more precise bring multiple benefits, such as enabling highway planners to strategically place overpasses and underpasses to keep wildlife off roadways, which helps animals and humans alike continue on their journeys more safely. Such maps can also increase the effectiveness of conservation initiatives, which saves money, she said. "Conservation efforts can get expensive," McClure said. "Whether it's buying land to protect animal corridors or restoring habitat, it's important to get the location right. These investments need to be in places that will most benefit wildlife. We can't conserve everything, so it's important that the money spent accomplishes what was intended." McClure's research, "Connecting models to movements: Testing connectivity model predictions against empirical migration and dispersal data" was published in the Journal of Landscape Ecology in September 2016. Co-authors include her adviser, Andrew Hansen, professor of ecology in MSU's College of Letters and Science, and Robert Inman, who at the time was a researcher with the Wildlife Conservation Society. She said that many corridor maps are informed by very little data or may not have used the most effective modeling techniques for anticipating movement patterns for the wildlife they aim to protect. "It's easy to look at these maps and say, 'This is where we're going to invest,'" McClure said. "But, the reality is there is a lot of noise in the data and uncertainty in the models that can ultimately misrepresent what's actually happening. It's important to use the best tools we have and to test our models with data. Having a sense of our tools' limitations is important in understanding the risk of those investments and where we need more data." Hansen said the research is becoming even more important as wildlands give way to development. "As people increasingly develop the Mountain West, wildlife managers are challenged to map and maintain habitats through which wildlife species make seasonal and annual movements," Hansen said. "Dr. McClure and colleagues evaluated statistical methods to quantify the movement pathways of wolverine and elk. They found 'best methods' differed among the species. The states of Montana, Idaho, and Wyoming are now using results from her work to project wolverine connectivity in the northwest U.S. as a basis for wolverine conservation."